Kechie's Project Founder Ms. Nkechi Ogbodo made her annual visit to the 3rd grade Social Studies classes of Mr. Moss at P.S.101Q in Forest Hills, NY to speak about Nigeria and answer to questions from the students and promote cultural awareness. FOREST HILLS, N.Y. - Nov. 25, 2013 - PRLog -- November 19th, 2013 Forest Hills, New York. 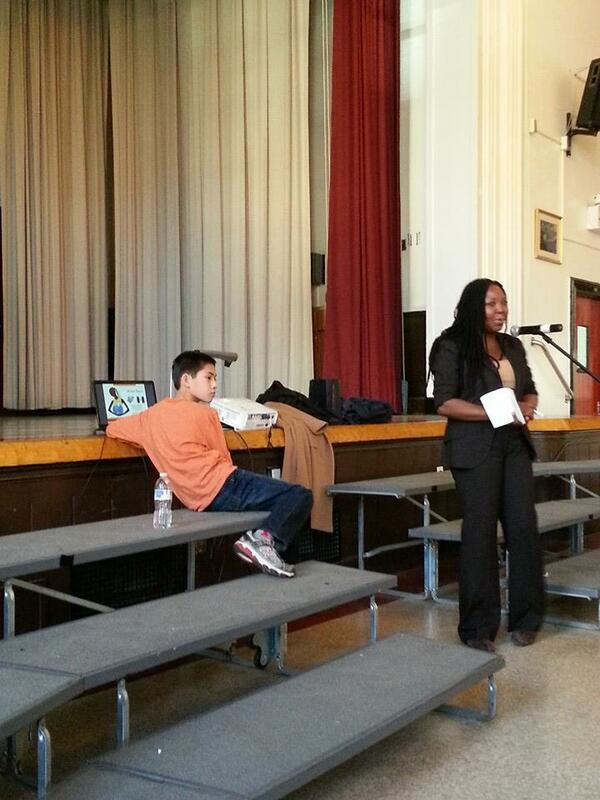 As part of Kechie's Project commitment to cross cultural awareness, founder Ms. Nkechi Ogbodo visited P.S.101Q in Forest Hills, New York where she gave Kechie's Project's annual presentation about Nigeria for the third grade classes as part of their Social Studies class under the instruction of their teacher Mr. Moss. The presentation touched upon aspects of Nigeria's history, economics, and culture exploring the similarities and contrasts with their own American culture. The students had an intense and vibrant question and answer session with Ms. Ogbodo to expand upon and explore their understanding of the material they have been studying in class. This is the third year that Kechie's Project has visited the school to promote educational awareness of conditions in Nigeria. The classes also have set up PenPal corrospondence with Nigerian students that Ms. Ogbodo facilitates during her Nigeria visits. "I am always delighted to visit PS101Q as the children there are so engaging and excited to learn about my country of origin, Nigeria. The cultural diversity in the school is amazing and the children always astound me wih their questions and enthusiasm , even at that young age. As a New Yorker, I truly value the opportunity to share their energy and excitement as part of Kechie's Project's committment to education!" "Once again Nkechi has come to our school and treated the 3rd graders to a special presentation during our unit on Nigeria. Her expertise and insight was of great benefit to our students. They were thrilled to have someone from the country they are studying take the time out of her schedule and enhance the experience of each and every student who was in attendance." Kechie’s Project is a unique nonprofit organization specifically focused on empowering underprivileged girls and providing them with educational resources. This takes place in both Nigeria and in the United States as well. Donations to Kechie’s Project provide direct financial support and resources to two schools in Nigeria and the organization also provides cultural awareness programs in New York City Schools most recently PS101Q Elementary School in Forest Hills, NY. Kechie’s Project is dedicated to direct involvement with minimal administrative costs. This focused approach benefits selected children enabling their growth and providing them with future opportunity. The result is a positive effect on their community and our world community. For further information on Kechie’s Project, event sponsorship, public appearances, or donations, please contact us at info@kechiesproject.org, or log onto www.kechiesproject.org.